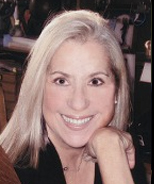 Watch Dr. Debra Shushan on Israel's i24 News! Debra discusses AIPAC's losing battle for progressive support and what it means to be pro-Israel, pro-peace (a term popularized nearly 20 years ago by APN) in the Trump Era. She is APN's Director of Policy and Government Relations. Trump has consistently privileged the Israeli narrative and claims over those of the Palestinians. In his Jerusalem decision he also helped the destructive, unnecessary transformation of the conflict from a political to a religious struggle. President Trump’s decision in December to recognize Jerusalem as Israel’s capital and commence moving the US embassy was harmful enough. And still, he has managed – repeatedly – to make it worse. In the latest development, the State Department announced last week that a provisional U.S. embassy in Jerusalem will open on May 14, timed to coincide with the 70th anniversary of Israel’s establishment. The Trump Administration’s original decision was fatally flawed. In the absence of a final settlement to the Israeli-Palestinian conflict in which Palestinian claims to Jerusalem are addressed, the decision was blatantly one-sided. 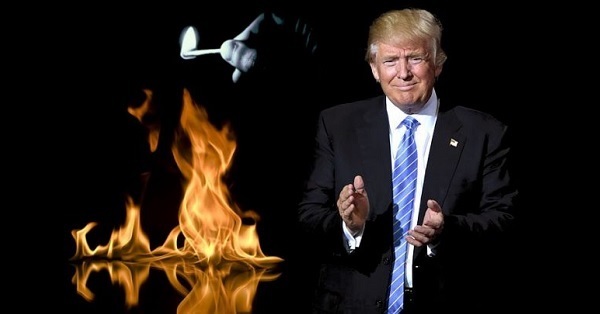 American credibility as an honest broker plummeted, Trump’s avowed goal of reaching the "ultimate deal" was set back, and the United Nations, the European Union, the Organization of Islamic Cooperation, and His Holiness Pope Francis condemned the new policy. Reuters: "Israel approves hundreds of new settlement homes: NGO"
Peace Now's Hagit Ofran noted that many of the latest housing projects were slated for settlements deep inside the West Bank. Peace Now said 6742 housing projects were approved in the settlements last year, the highest since 2013. The Independent: "Israel approves more than 1,100 new settlement homes in occupied West Bank"
In a statement, the group (Peace Now) said: "The government is attempting to destroy the possibility of a two-state solution and the prospects of peace by building more and more in the settlements." 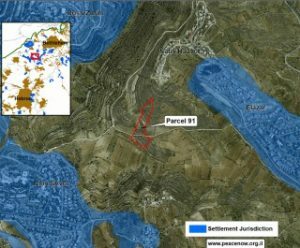 Boston Globe: "Group: Israel OKs more construction in West Bank settlements"
Ha'aretz: "EU, U.K., Germany and France Condemn Israeli Plan to Build Hundreds of Settlement Homes"
Israeli anti-settlement Peace Now also denounced the 1,122 new settlement units which were approved this week. Jordan Times: "Jordan, world countries reject Israeli settlement plans"
1. President Trump made a landmark announcement on Jerusalem on December 6th. President Trump did two things in his speech: he reversed 70 years of American policy by recognizing Jerusalem as Israel’s capital and he announced plans to move the US embassy in Israel from Tel Aviv to Jerusalem. 2. Recognition of Jerusalem as Israel’s capital, without any acknowledgment of Palestinian claims to Jerusalem, is the root of the problem. Jerusalem is Israel’s capital. But the timing of international, and particularly American, recognition of this matters – as do the particular borders of Jerusalem that are recognized. The reason is that Palestinians also have legitimate claims to Jerusalem as the capital of their eventual state and any realistic peace plan includes at least some portion of East Jerusalem as that capital. The past few months have seen unprecedented developments in the settlements, causing severe damage to the chances of a two-state solution. Accelerated population growth, approvals of housing units in the West Bank and East Jerusalem, promotion of bypass roads, advancements of Knesset bills, home demolitions and changes in legal interpretations - all lead to a situation of de-facto annexation of area C. Without any official declarations, the Israeli government is preventing the viability and contiguity of a future Palestinian state, while treating lands in area C as its own. The implications of the abovementioned developments are far-reaching for Israel, the Palestinians and the region as a whole. Peace Now's new report summarizes key developments of the last several months and analyzes their impact, individually and together, on the viability of a Palestinian state alongside Israel and the possibility for a two state solution. Even with the lack of a final status agreement in sight, it is our duty today to struggle in order to prevent silent annexation efforts and to assure the possibility of a two state solution on the ground. Haaretz: Am I Too Dangerous to Enter Israel? This article appeared first on November 1, 2017<\a> in Moment Magazine. In December of 1988, during the last days of Ronald Reagan’s presidency, the United States publicly agreed to an official dialogue with the Palestine Liberation Organization. This followed PLO leader Yasser Arafat’s renunciation of terrorism, acceptance of Israel’s right to exist, and endorsement of UN resolutions 242 and 338, after which the US accepted the PLO’s legitimacy. In effect, the PLO had conceded that 78 percent of what they considered to be historic Palestine was now Israel. They accepted that control of the “remaining” 22% — the West Bank and Gaza Strip — would be determined by negotiations. The Palestinians had finally assented to the “land for peace” formula that had been adopted by the US, Israel, and the international community after the 1967 war. Now, almost 30 years later, this formula is being undermined by a figure who once would have seemed an unlikely culprit: the US ambassador to Israel. By this logic, any expressed preference by the Trump administration for a two-state solution risks prejudging the outcome of the peace process in favor of either Israelis or Palestinians. In reality, an explicit endorsement of a two-state solution is the most unbiased approach that the administration could take.